The fight against dirt is on! 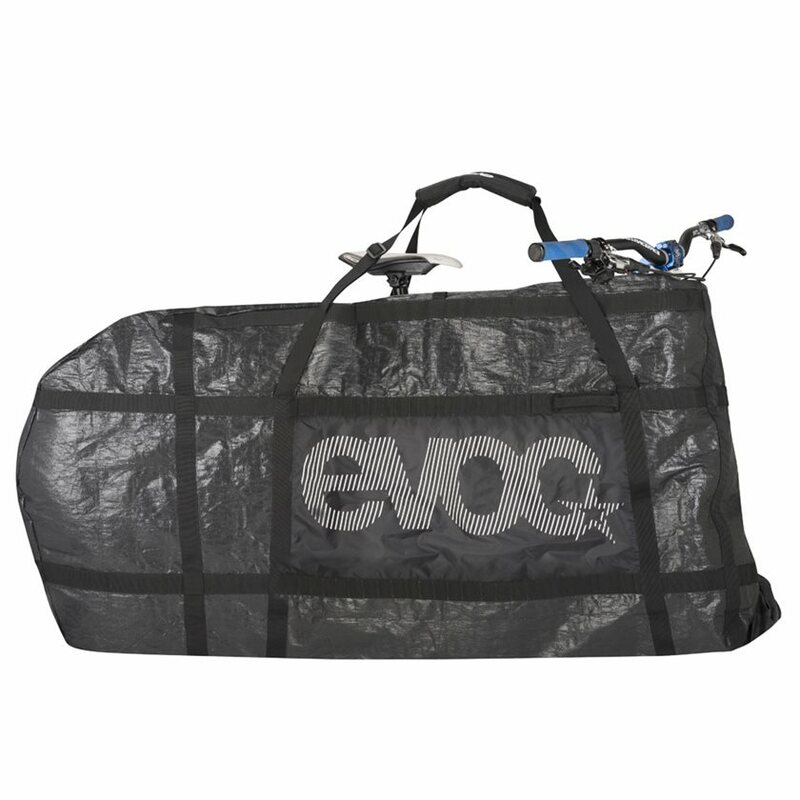 This multifunctional, collapsible anti-dirt carrying and storage bag for all types of bikes is perfect for the car, a train ride, a night in a hotel room and wherever else it's best that the dirt remains on the bike. 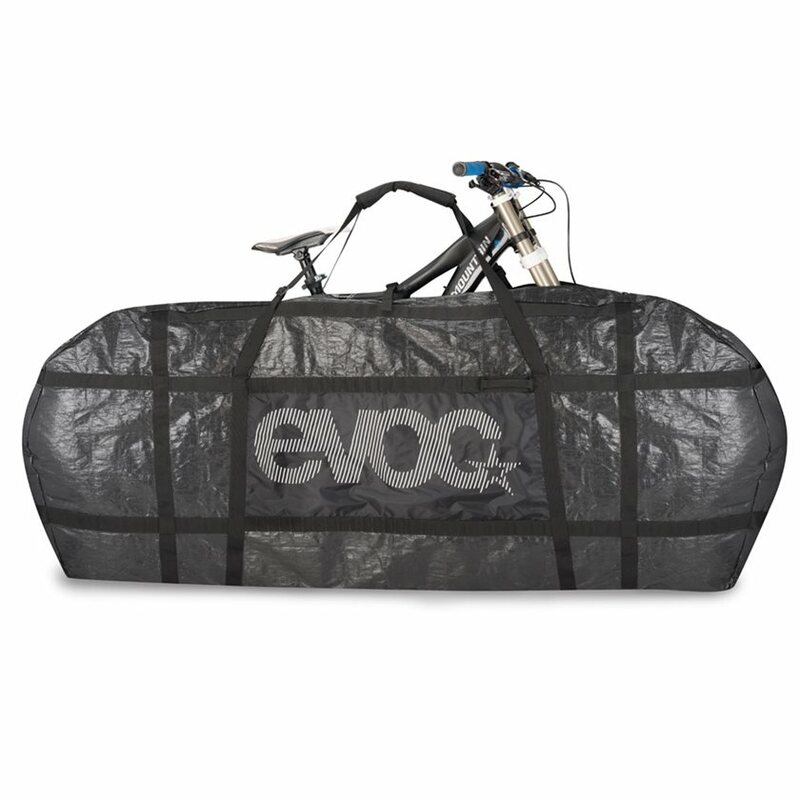 The EVOC Bike Cover folds into a relatively compact size and is easy to transport. 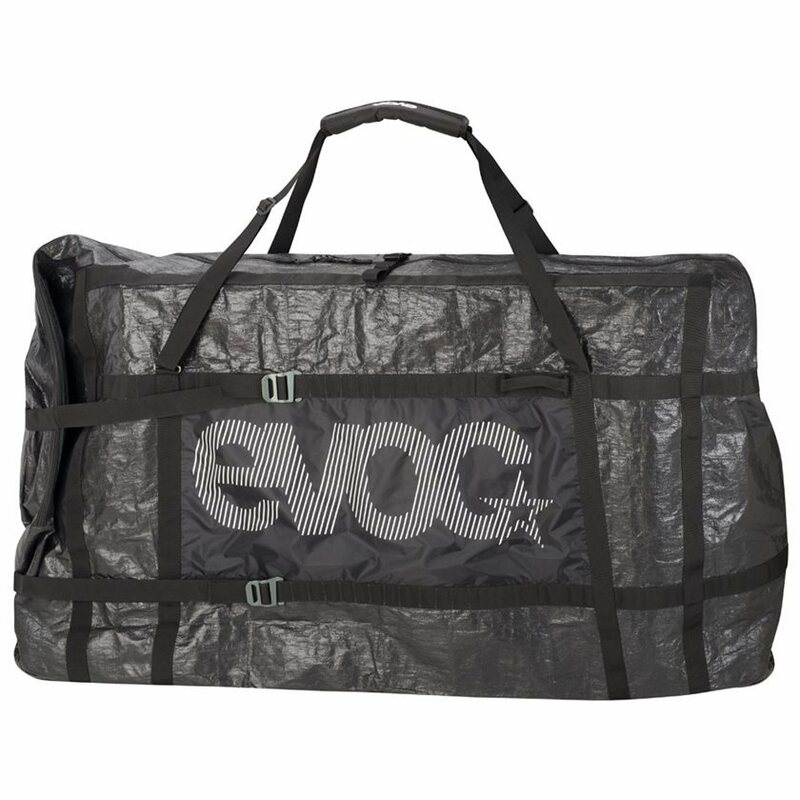 Though it's designed to keep your dirty bike from mucking up your belongings, you can also use the Bike Cover to keep dirt off of your bike during transport. Expected more. Thin material prone to puncture, bag too narrow for my preference, needs a fork clamp and bottom bracket block strap, should be taller to cover saddle, difficult to fold over ends when wheels removed, clamping straps too long. I would not recommend this product. Works for a 29er bike? BEST ANSWER: It should fit a 29er. However here is my comment on my purchase of this product: Expected more. Thin material prone to puncture, bag too narrow for my preference, needs a fork clamp and bottom bracket block strap, should be taller to cover saddle, difficult to fold over ends when wheels removed, clamping straps too long. I would not recommend this product.